1. 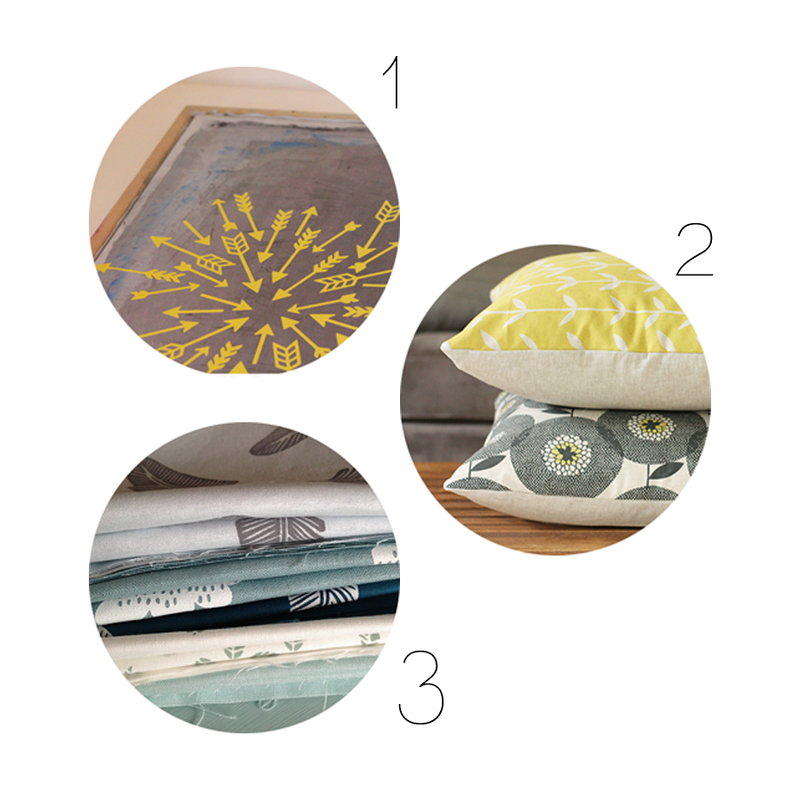 Kate's step-by-step tutorial for how to screenprint on fabric at home is super thorough. 2. Great way to use a fat quarter: Anna's invisible zipper pillows made from gorgeous Skinny Laminx fabrics. 4. 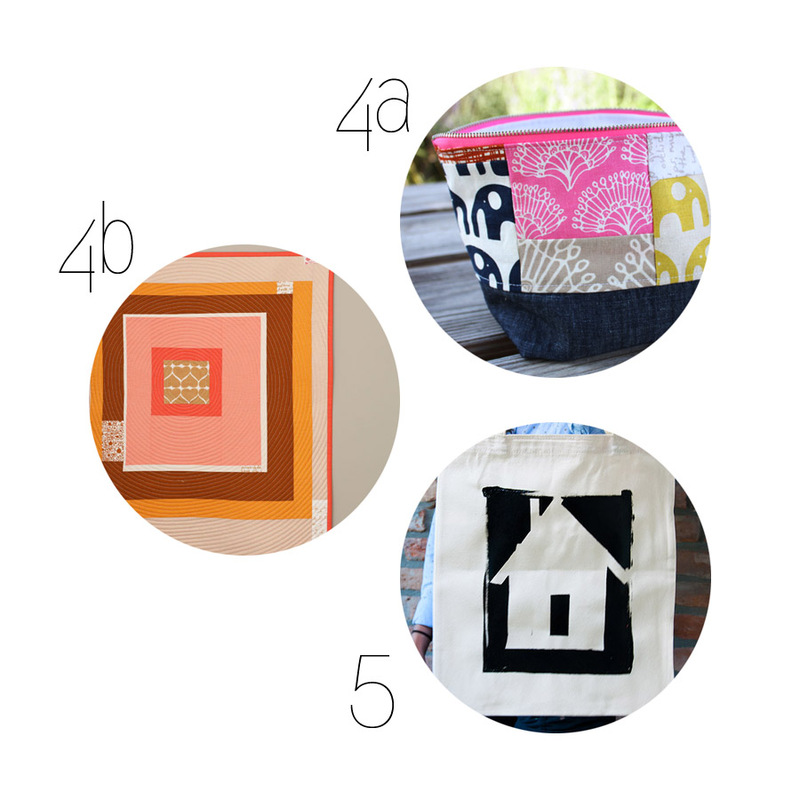 Two projects featuring Umbrella Prints Trimmings Packs (there are still a few left in the shop! ): wide-mouth zipper pouch by Anna and a gorgeous wall quilt by Ashley.